Glenn Keys, AO, Executive Chairman of Aspen Medical. Photo: Sean Davey. After striking up a conversation with Ehren Keys, you immediately feel as though life is pretty good. That’s the impact he can have on others. For his parents, Glenn and Mel and his two siblings, Siân and Tim, Ehren has influenced their lives in the most positive and productive ways. Twenty-five-year-old Ehren was born with Down syndrome. He embraces each and every day with the optimism usually reserved for a grand final victory or an Olympic gold. His influence on the Canberra community cannot be underestimated. It was also what led to the establishment of Project Independence. Through a partnership with the ACT Government, Project Independence enables home ownership options for people with an intellectual disability. So far, ten have been built in Latham, ten in Harrison, and another ten are planned for Philip. Further afield, there are plans to build in Melbourne. The concept, driven by Glenn and Mel, had its origins at a birthday party of one of Ehren’s friends, who was living in one of the social housing homes built during the Federal Labor Government’s stimulus budget. By the end of the birthday party, Glenn had conceptualised an initiative to build more of these homes in Canberra. Siân, Tim, Mel, Glenn and Ehren. Photo: Supplied. Growing up in Newcastle above his parent’s shop, which sold gifts, toys and wool, Glenn graduated from school six months after his 16th birthday. He headed to Duntroon, eventually graduating as a mechanical engineer in 1984. He spent a further ten years at various postings, including a stint in Albury, where he met Mel in the beer garden at the Star Hotel. One of his resume highlights is his time spent as a flight test engineer and an aeronautical engineer. This provides some indication of where Glenn’s experience would lead. Clearly, he had the ability to take on risk and solve problems systematically. He used his extensive experience to establish a start-up company, which was subsequently taken over by a defence contractor, Raytheon. May 23, 2003, is a date etched in Glenn’s memory. It was the date he and longtime friend Dr Andrew Walker established the health project management company, Aspen Medical. Operating initially out of his dining room in Chapman, the business is now one of the biggest bespoke Health Care providers in the world with over 2,000 employees on three continents and 16 countries. The award-winning company came to global prominence during the Ebola virus disease pandemic in 2014-15, effectively managing the Australian Government’s response to the outbreak in West Africa. This included commissioning and managing a 100-bed Ebola treatment centre in Sierra Leone. In recognition of its response to the pandemic, Aspen Medical was awarded a gold medal in the International Humanitarian Aid category at the International Project Management Association awards in Poland. In Canberra though, the company’s profile had already been established because of Glenn’s advocacy calling on the business community to have a social purpose. In so doing, he has effectively incorporated community service into the culture of business. He credits Mel, a Pastoral Care practitioner, for opening his eyes to what can be done to help the disadvantaged and people with a disability. “I couldn’t have achieved a tenth of what we have done without Mel,” says Glenn. The result has seen the growth of not only Project Independence, but also the Aspen Foundation, which has funded the eradication of the eye disease Trachoma, and Scabies in remote Indigenous communities, as well as funding scholarships for Indigenous health professionals. 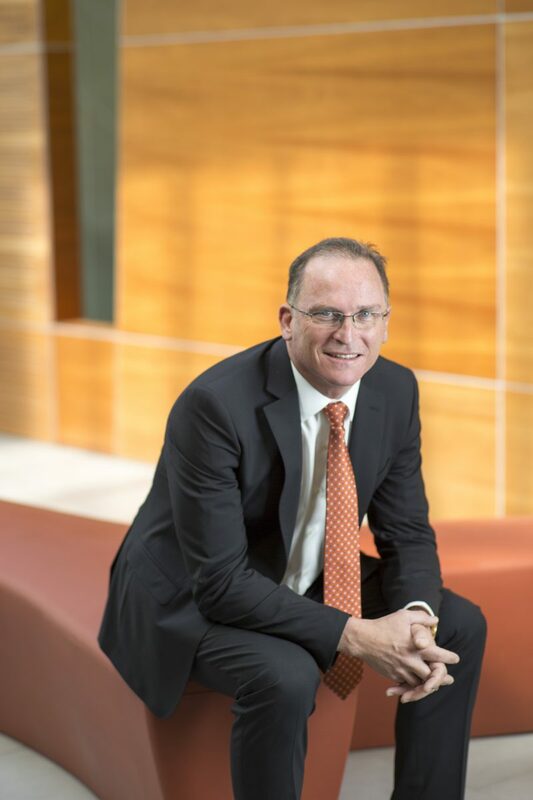 If not busy enough, Glenn is on a range of boards and councils including the National Capital Authority and the University of Canberra Council. 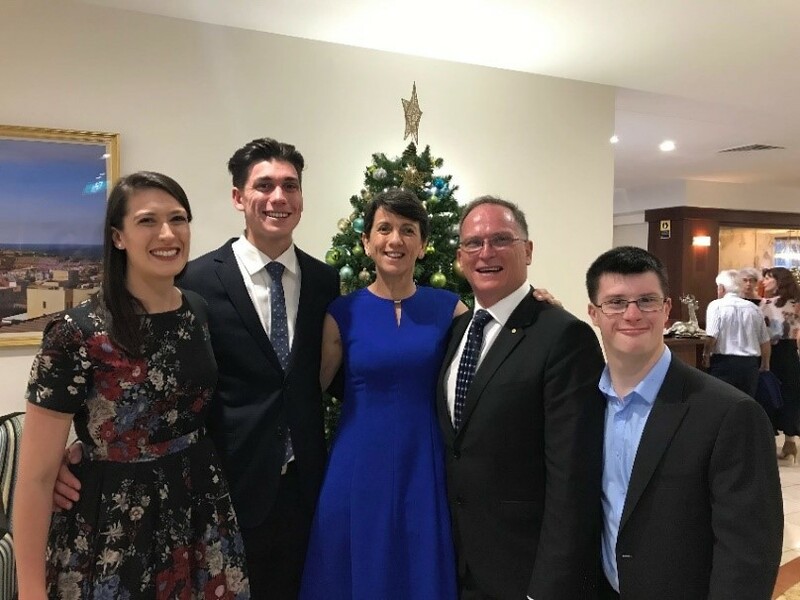 He has also been a strong advocate for the Special Olympics, encouraged by the positive impact of sport on people with an intellectual disability. Recently, Glenn received an Order of Australia, and in 2015, he received the ACT Australian of the Year award in recognition of his business with a social purpose advocacy and his work with disability. For Glenn and Mel, it has been a partnership which has benefitted the lives of many in Canberra.